Microsoft Visio is a diagramming application used to create charts, diagrams, flowchart and layouts. 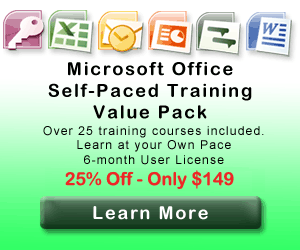 Business Computer Skills now offers Microsoft Visio training classes in Katy, TX. Get the professional training you need to take your Visio skills to the next level. Whether you want to learn Visio basics or create professional quality diagrams, we have the right course for you. Microsoft Visio 2016 Introduction Classes (Level 1) -- Our introductory Microsoft Visio course helps students become familiar with the Visio 2016 program, and learn all the core operations of the program. Students will learn Visio Fundamentals and gain proficiencies in the following areas: Understanding the new Visio 2016 features, Creating a Workflow Diagram, Creating an Organizational Chart, Making a Floorplan, Creating a Cross Functional Flowchart, Creating a Network Diagram, and Styling a Diagram. This is a perfect class for those who need a refresher in Visio 2016 or are looking to build fundamental skills in the program. Microsoft Visio Introduction Class (Level 1) -- Our introductory Microsoft Visio course helps students become familiar with the Visio 2013 program, and learn all the core operations of the program. Students will learn Visio Fundamentals and gain proficiencies in the following areas: Understanding the new Visio 2013 features, Creating a Workflow Diagram, Creating an Organizational Chart, Making a Floorplan, Creating a Cross Functional Flowchart, Creating a Network Diagram, and Styling a Diagram. This is a perfect class for those who need a refresher in Visio 2013 or are looking to build fundamental skills in the program. Microsoft Visio 2013 Intermediate Classes (Level 2) -- Our intermediate course for Visio 2013 builds off of the Level 1 class to put your fundamental skills to work. Students will gain proficiencies in the following areas: Creating a Custom Shape, Designing a Custom Stencil, Designing Styles and Templates, Designing a Floorplan, Representing External Data in Visio 2013, and Sharing your Drawings. This is the perfect class for those who know the basics of Visio 2013 and want to become more productive with the software.